Ocean Beach has lost another of its citizens who helped others over the years. Michael Charter passed away on January 23rd, he was 69. A longtime community volunteer for OB, who helped the homeless and veterans, died from chronic obstructive pulmonary disease at Vibra Hospital of San Diego. After serving in Vietnam for almost 2 years once he was drafted in 1967, and receiving a Purple Heart, he returned to civilian life and dealt with post-traumatic stress disorder and alcoholism. He was able to earn a bachelor’s degree in business management from Cal State Long Beach. He married twice and was divorced twice. In that time, his family had moved to Point Loma. Michael had two daughters and a son from the marriages. Charter became a contractor who helped remodel homes and restaurants. Then during the mid-1980s Charter moved to OB. He joined the town council and served as vice president and president. Charter got busy and organized beach and graffiti cleanups; he was instrumental in bringing our OB skateboard park to life. Friends recall him always helping homeless folks, out of luck vets. He was also involved in a host of other community activities, the Holiday Parade, the chili cook-off festivals, and the restoration of the Ocean Beach Pier. 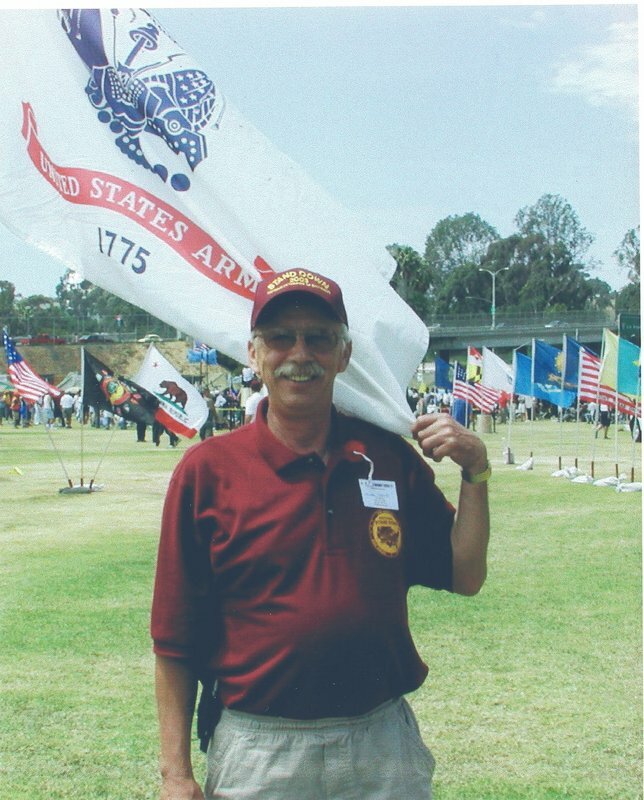 Charter was a strong advocate for Purple Heart recipients, he most recently worked on the Purple Heart Memorial at the Veterans Museum and Memorial Center in Balboa Park and was petitioning for recipients of the Purple Heart Medal to have special parking. He also participated on the Mental Health Advisory Board representing the U.S. De-partment of Veterans Affairs and Veterans Village of San Diego to develop the post-traumatic stress disorder program for combat veterans. Services for Charter were held at Veterans Village of San Diego on Feb. 1. Michael will be laid to rest at Fort Rosecrans National Cemetery among his comrades. The family requests that in lieu of flowers, monetary donations be made to the Veterans Village of San Diego in Michael Charter’s name.